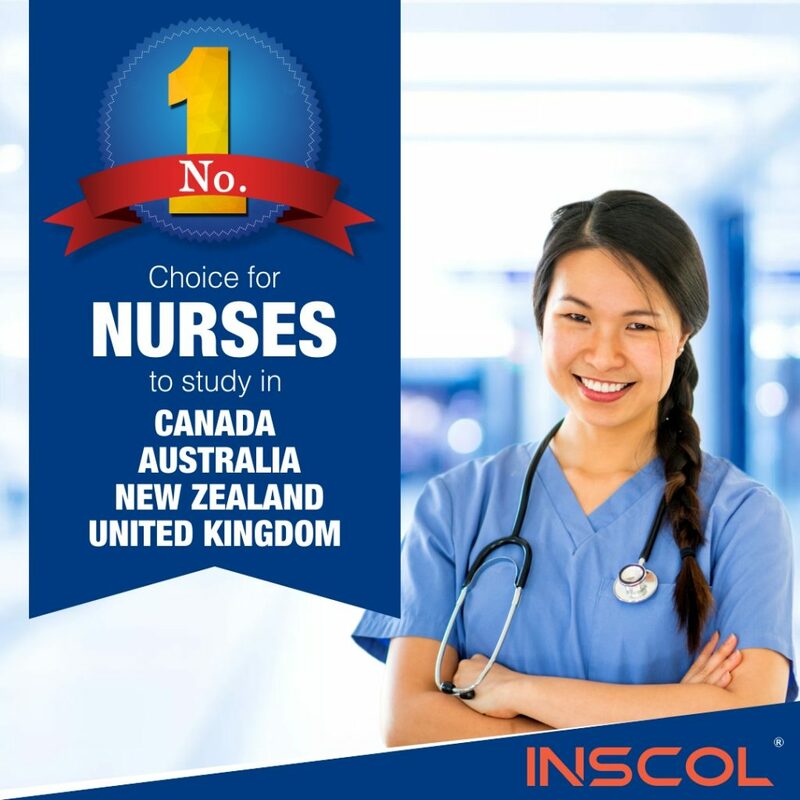 Canada is a second home to the majority of Internationally Educated Nurses (IENs). With a vision to be a part of the globally recognized healthcare system, IENs are studying nursing in Canada. 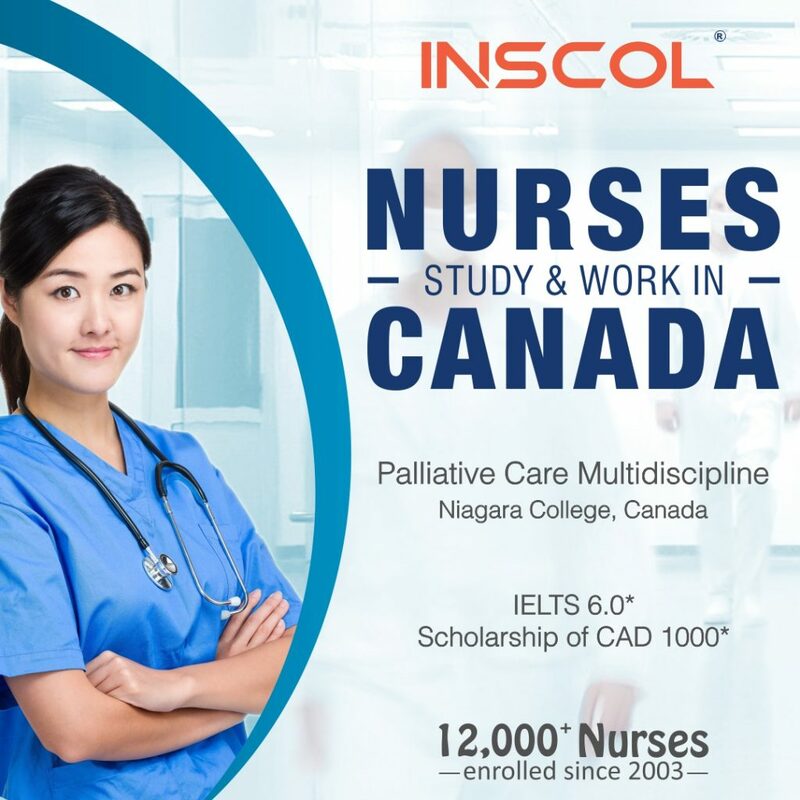 Making this choice can serve various purposes but one must always be careful to choose suitable nursing programs in Canada. 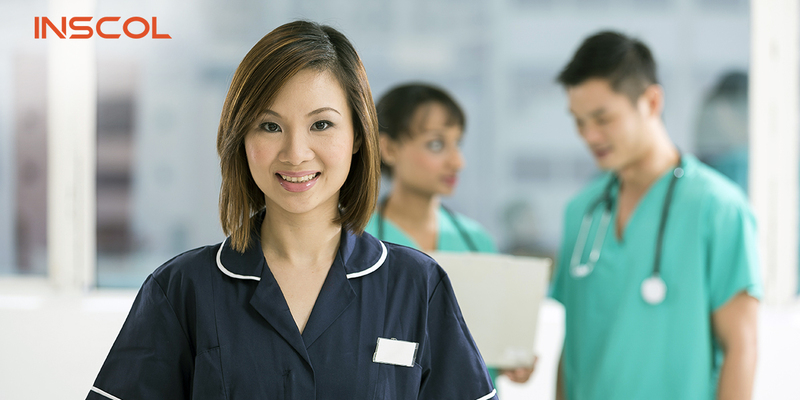 After studying nursing in Canada, you can explore multitudes of career opportunities on a global scale. However, it is important to know that only the right skill set and education can help you realize the potential of new opportunities coming your way. 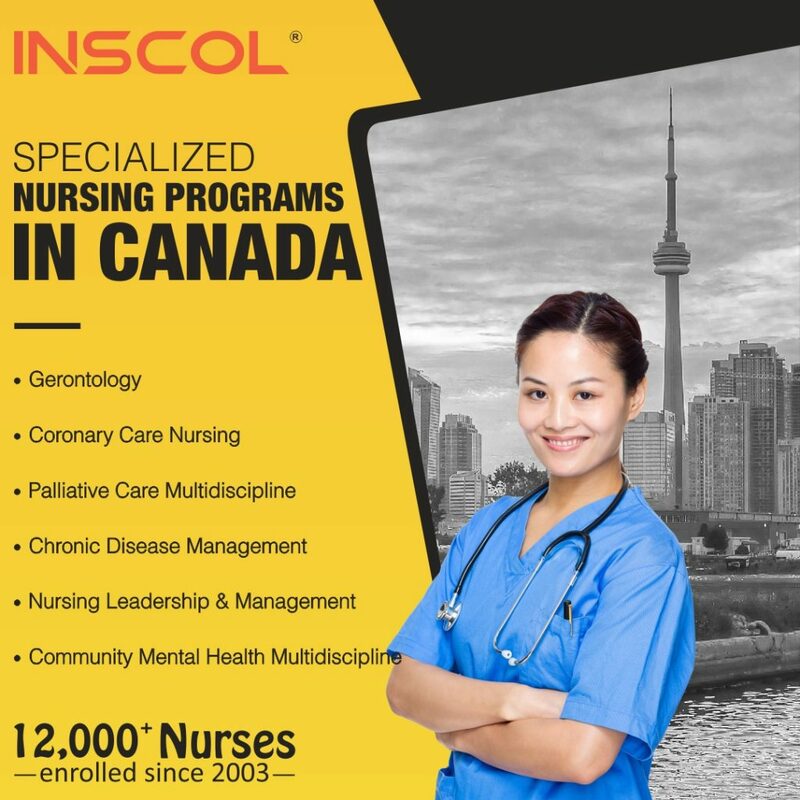 Keeping in mind the demand for nurses with specialized education in the country, INSCOL offers you tailor-made nursing programs in Canada. Our postgraduate specialization programs are the best pick in terms of affordability, time saving and cost effectiveness. 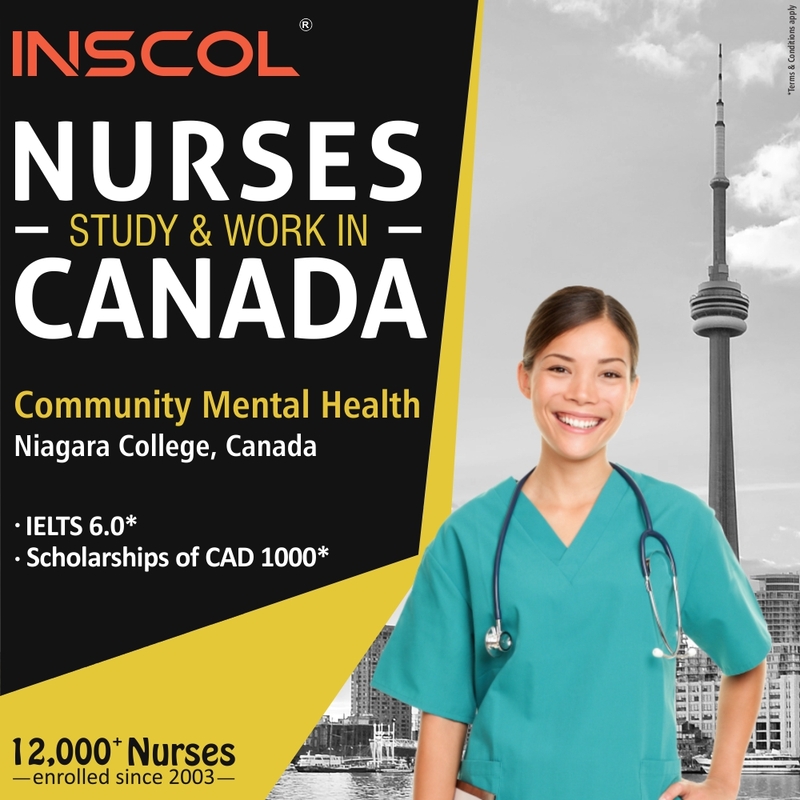 They can also help you in paving your pathway towards nursing registration in Canada. So, here we have some more information about six specialization programs you must study in Canada. Also, we bring you all the right reasons to study them with INSCOL! Overview: A branch of nursing to provide care for patients with serious illnesses. 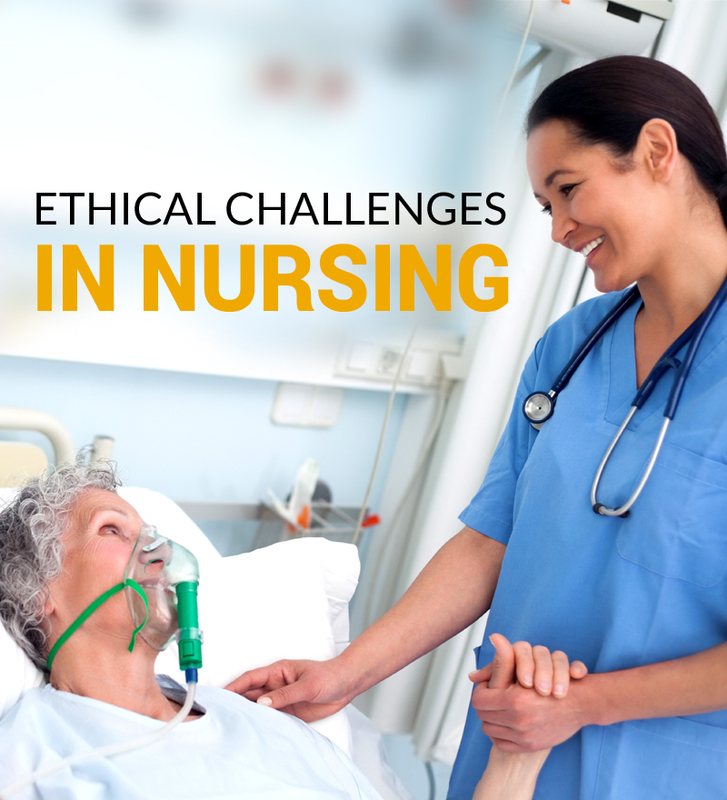 The main goal of studying this postgraduate nursing program in palliative care is to improve the life quality of patients and support their family to overcome the stressful time. 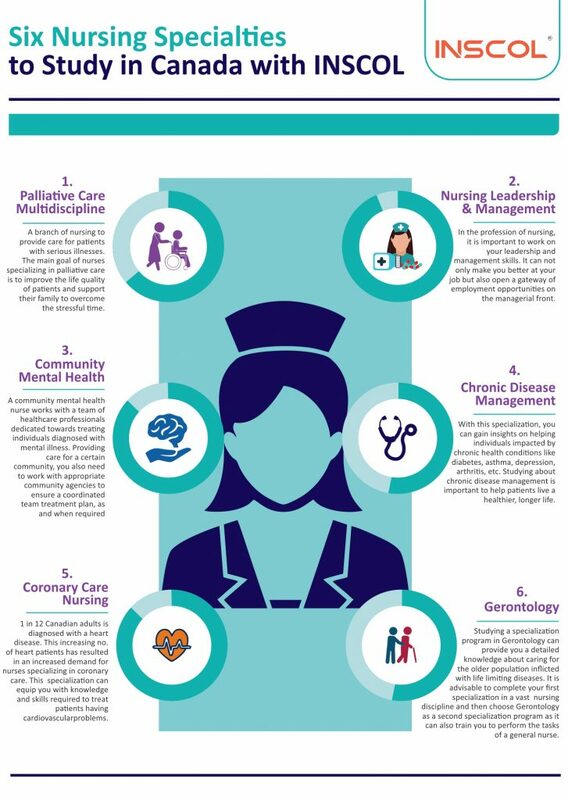 Reasons to choose this program: Palliative Care is one of our highly appreciated nursing programs in Canada. Studying a postgraduate program in palliative care could be a right choice for you as the country has an alarming rate of patients with life limiting illnesses. With an in depth study of palliative care, you can definitely tap employment opportunities in the healthcare sector of the country and also serve the purpose of helping individuals battling with terminal diseases. 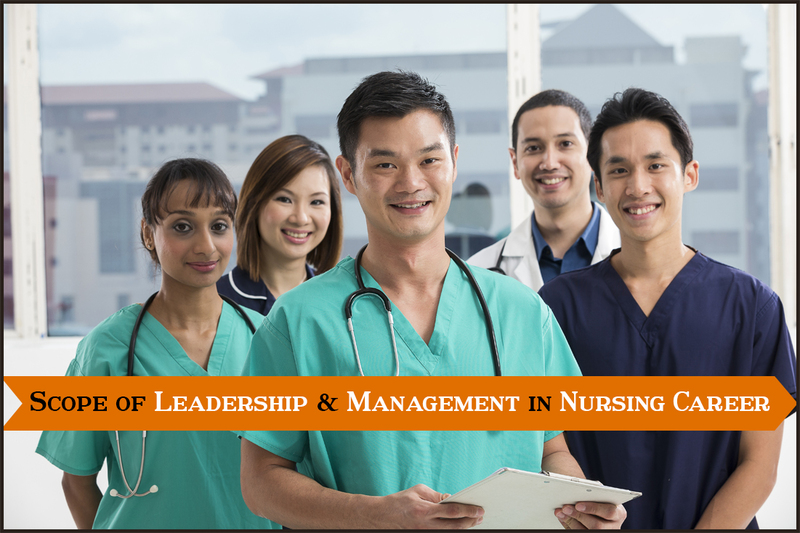 Overview: In the profession of nursing, it is important to work on your leadership and management skills. 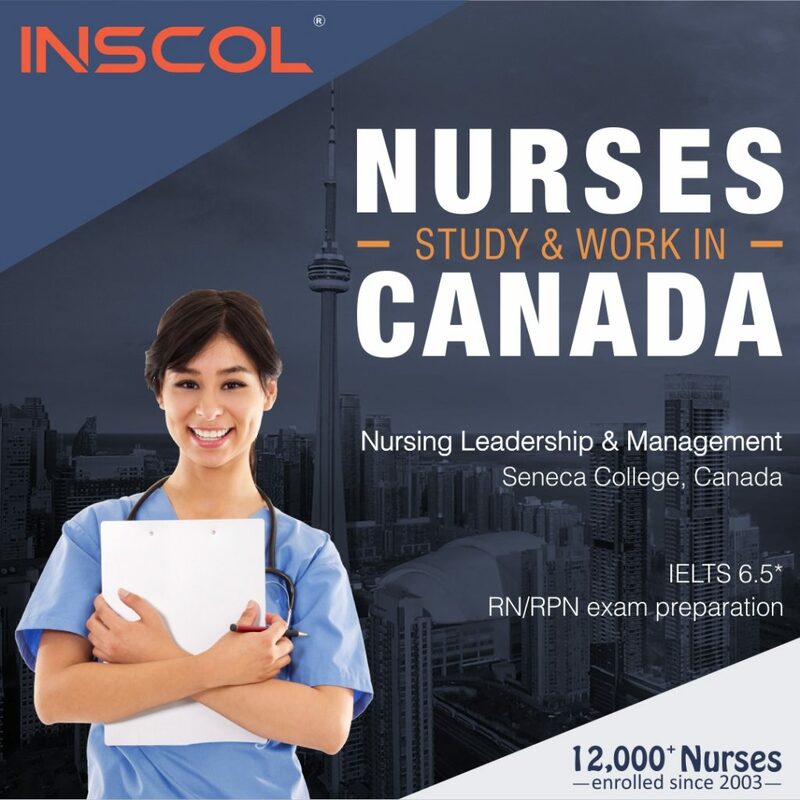 Studying this nursing program in Canada will not only make you better at your job but will also open a gateway of employment opportunities on the managerial front. You can be a part of the important decision-making like planning, organizing, staffing, directing and controlling. Reasons to choose this program: Leadership is one of the essential qualities for nurses and a dedicated study program to hone your leadership and management skills is the best possible way to go about it. With our postgraduate certificate in nursing leadership & management, unlock new career opportunities in leadership and managerial roles in Canada. For an elaborated understanding of leadership for nurses, you can find some useful insights right here. Overview: A community mental health nurse works with a team of healthcare professionals dedicated towards treating individuals diagnosed with mental illness. With an international nursing program in mental health, you can learn how to provide care for a certain community. Being a community mental health nurse, you also need to work with appropriate community agencies to ensure a coordinated team treatment plan, as and when required. Reasons to choose this program: From the past few years, mental health has been getting its due importance as people are becoming more aware about the stigmas and myths attached to it. This rising awareness calls for an increased demand of mental health nurses. With our postgraduate certificate program in community mental health, you can explore the issues and trends in mental health in Canada. Successful completion of this program opens a gateway of career opportunities in the healthcare sector of Canada. Overview: With this postgraduate nursing program, you can gain insights on helping individuals impacted by chronic health conditions like diabetes, asthma, depression, arthritis, etc. Studying about chronic disease management is important to help patients live a healthier, longer life. Reasons to choose this program: With our postgraduate certificate in chronic disease management, you can gain knowledge about the prevention and management of chronic diseases. 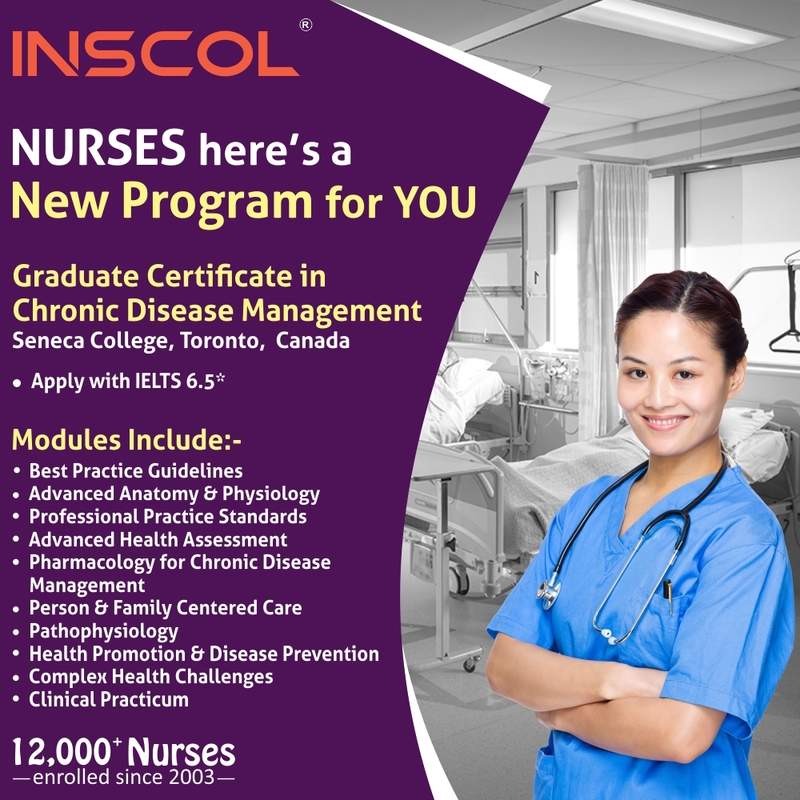 Being a relatively new specialization, chronic disease management has a large scope of opportunities for Internationally Educated Nurses (IENs) in Canada. Overview: 1 in 12 Canadian adults is diagnosed with a heart disease. This increasing number of heart patients has resulted in an increased demand for nurses specializing in coronary care. 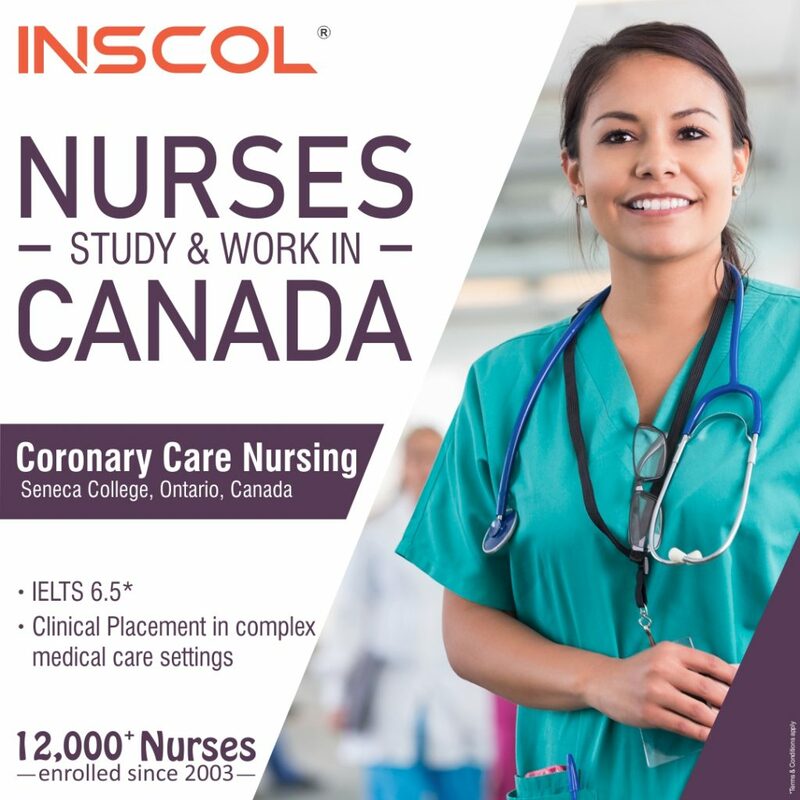 Studying this nursing program in Canada can equip you with knowledge and skills required to treat patients having cardiovascular problems. Reasons to choose this program: Nurses with an inclination towards cardiology should study our postgraduate certificate in coronary care nursing. This program prepares you for advanced patient care practices to treat individuals experiencing cardiovascular illness. With a combination of practical and theoretical learning, you can get an experience of working in a globally competent environment in Canada. Overview: Studying a specialization program in Gerontology can provide you a detailed knowledge about caring for the older population inflicted with life limiting diseases. It is advised to opt for this specialization once you’ve specialized in a detailed nursing program in Canada. Reasons to choose this program: Studying a postgraduate certificate program in Gerontology is an ideal choice for nurses looking to enhance their foundational knowledge. It usually befits the requirement of an additional program, increasing the chances of more global opportunities coming your way. Specializing as a geriatric nurse makes you capable of caring for older adults in diverse healthcare settings. 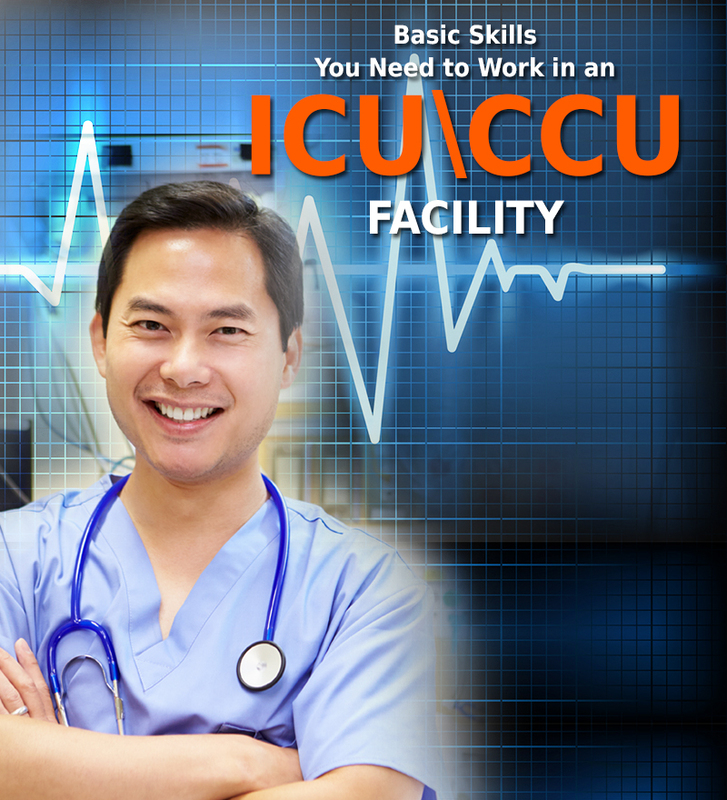 Once you have studied at length about the nursing specialties, you would want to act upon it.